This is basically an Inspeed Pole Mount Anemometer in pieces, for you to have fun assembling! 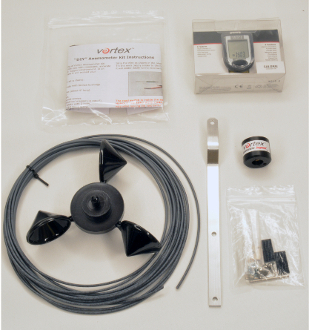 Provided with everything you need to make a completely functional, calibrated anemometer. Makes a great gift or project! See the Inspeed Pole Mount Anemometer for more information.